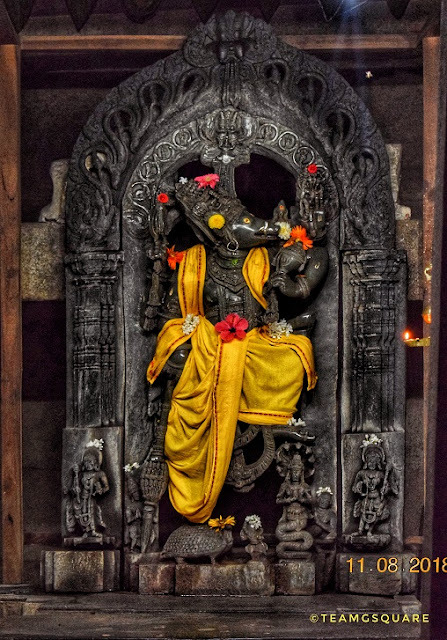 A visit to Sri Bhuvaraha Narasimha temple at Halasi was long time pending until finally we got an opportunity to take the lord's blessings during our trip to Belagavi. Halasi is an ancient town and was the second capital city of the Banavasi Kadambas during the 4th to 6th century. 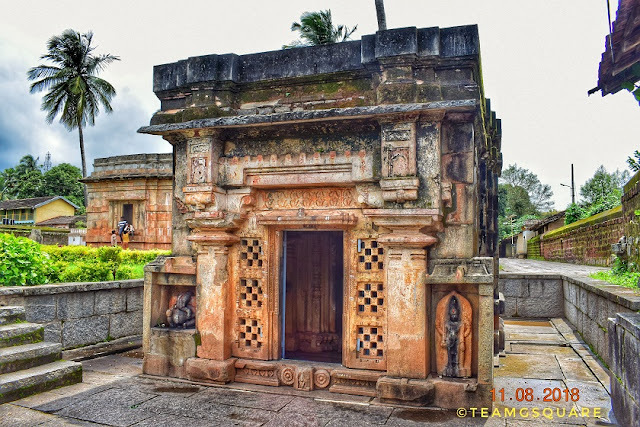 This place was known as Palashi, Palasika, Halasige as per the various inscriptions found here. 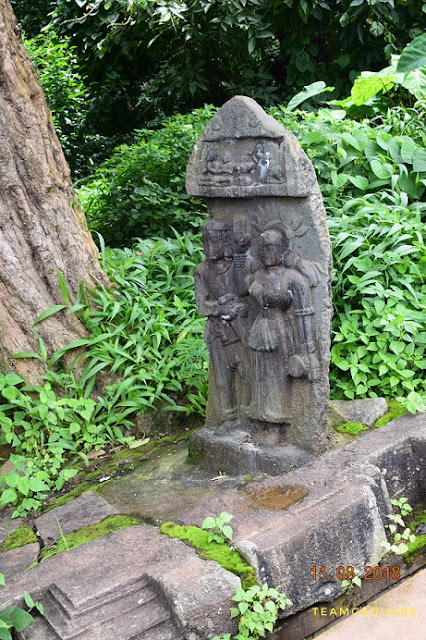 Later under the Goa Kadambas it was a minor capital between the 10th and 13th centuries. Halasi flourished under these two dynasties and remained as an important cultural site back then. Today this town lives in oblivion and has lost all its ancient sheen. 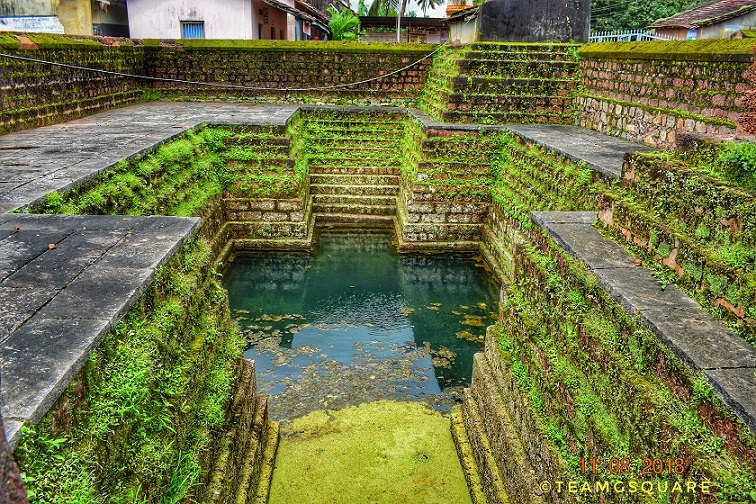 7 copper plates of the Kadamba dynasty were found here which have been dated back to the 4th century, thus making Halasi one of the oldest towns of this region. There are many other inscriptions found here belonging to the later kings. 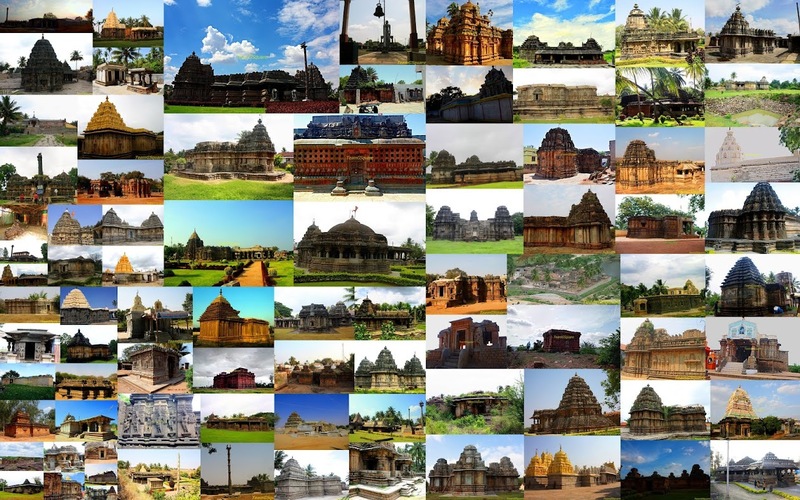 There are many temples here namely, the Sri Bhuvaraha Narasimha temple, Sri Kapileshwara temple, Sri Suvarneshwara temple, Sri Kalleshwara temple, Sri Hatakeshwara temple, Sri Gokarneshwara temple and a Jaina Basadi. 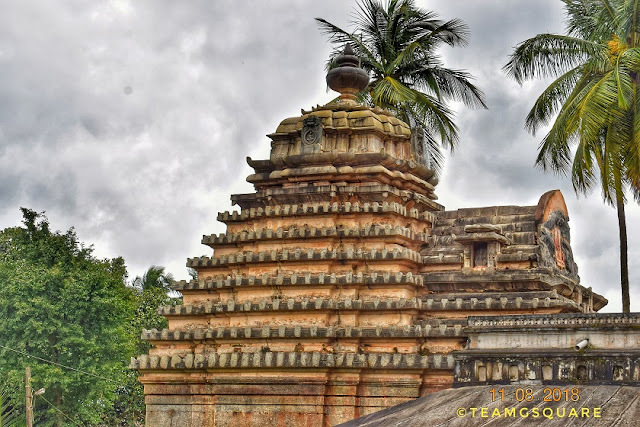 Due to paucity of time, we could visit only the Sri Bhuvaraha Narasimha temple built in the 5th Century. 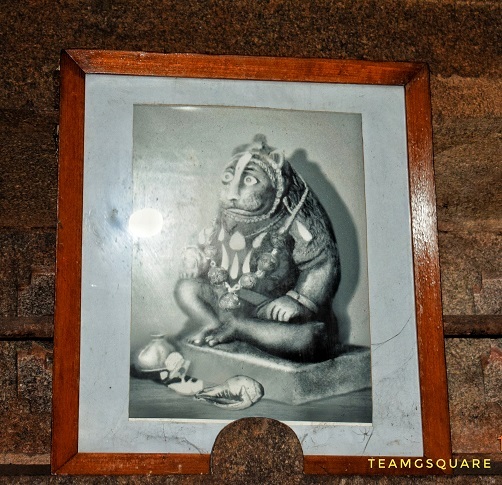 The original temple built was dedicated to Lord Narasimha. 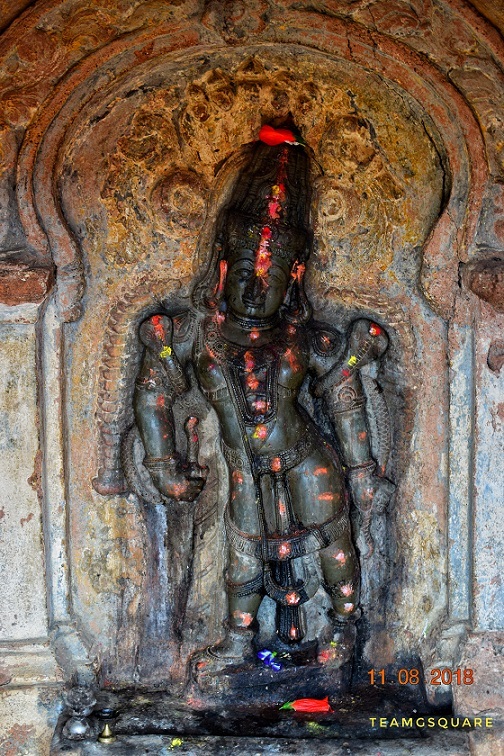 The lord here is depicted with two hands in yogic postures and it is believed that this murti is a Swamyabhu or self- originated one. There is another big murti of Sri Yoga Narayana in the same garbhagriha installed later during the Goa Kadamba period. 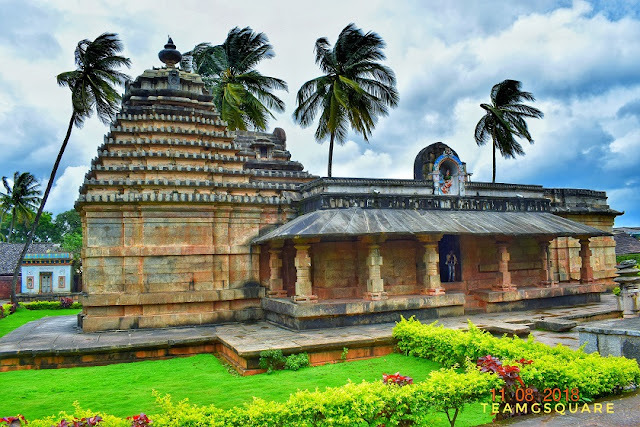 The inscriptions of 1169 AD found here registers the construction of this temple and installation of the murti of Ananta Virvikrama Narasimha by one Matayogi, as per the instructions of the king's mother. 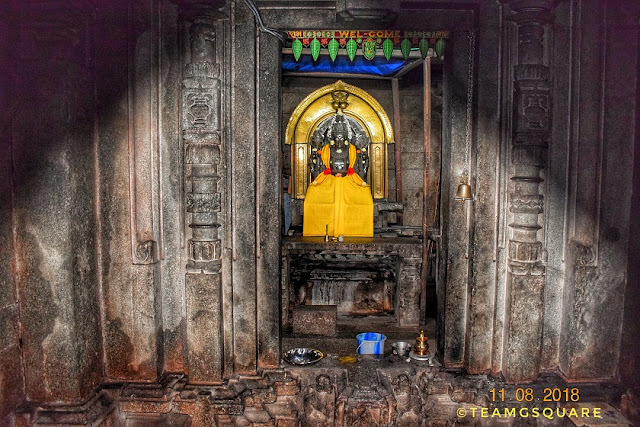 The murti of Sri Bhuvaraha was installed in the year 1187 by King Vijayaditya III in the second garbhagriha, opposite to the garbhagriha dedicated to the main deity. Though there are two garbhagrihas, only the original garbhagriha has a Shikara in the Kadamba Nagara style, built probably much later during the Goa Kadamba period. This temple bears architectural resemblance to Sri Madhukeshwara temple at Banavasi to some extent. 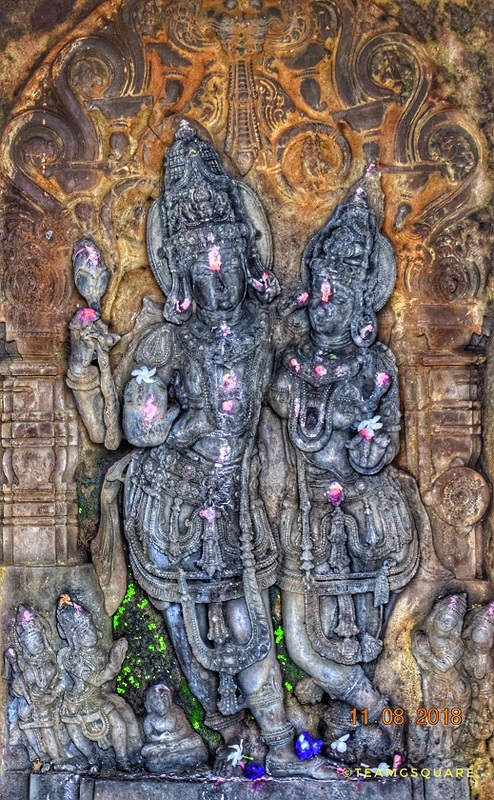 The temple has two garbhagrihas with an attached antarala, opening into a common Navaranga with 2 mukhamandapas. 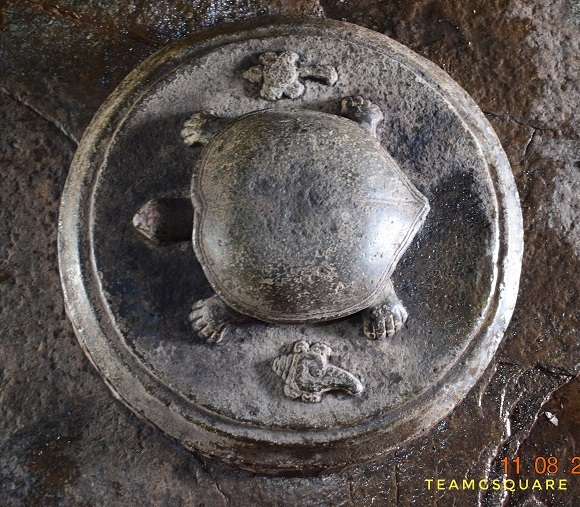 The central ceiling of the Navaranga carries a beautiful inverted lotus motif, but is now covered with a wooden plank. The temple is built on an elevated platform. There are a few smaller temples in the complex dedicated to Lords Shankara Narayana, Garuda, Maruti, Radha Krishna and also a stepped well. The complex is well maintained and its temples are functional. 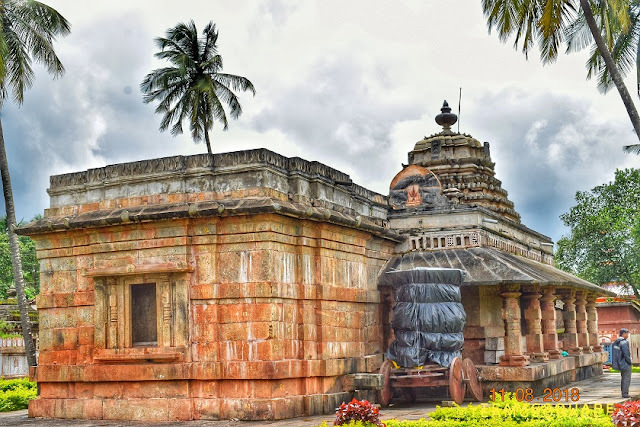 This temple is perhaps the oldest surviving temple dedicated to Lord Narasimha. Directions to Halasi: About 40km from Kittur towards Khanapur, deviation after Bidi. 3. 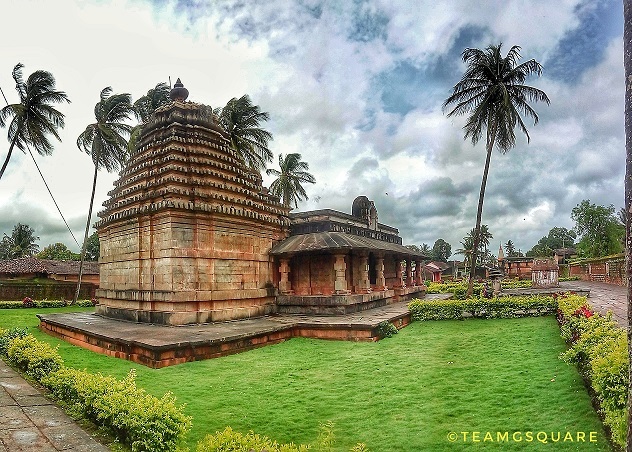 Sri Mahadeva Temple, Kurdi/Curti Goa. Amazing . 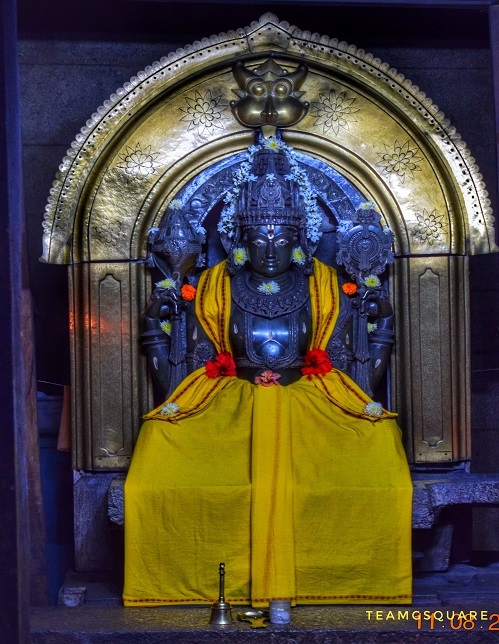 Great to read about Sri Bhuvaraha Narasimha Temple.